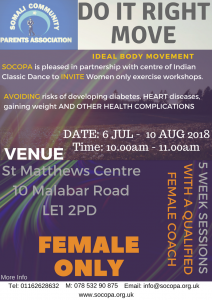 We are pleased to announce that SOCOPA in partnership with centre of Indian Classic Dance is offering Women only Movement exercise workshops with the support of Centre for Indian Classical Dance who is providing us qualified coaches to lead and run the sessions for women to increase their level of exercise 150 minutes per week. 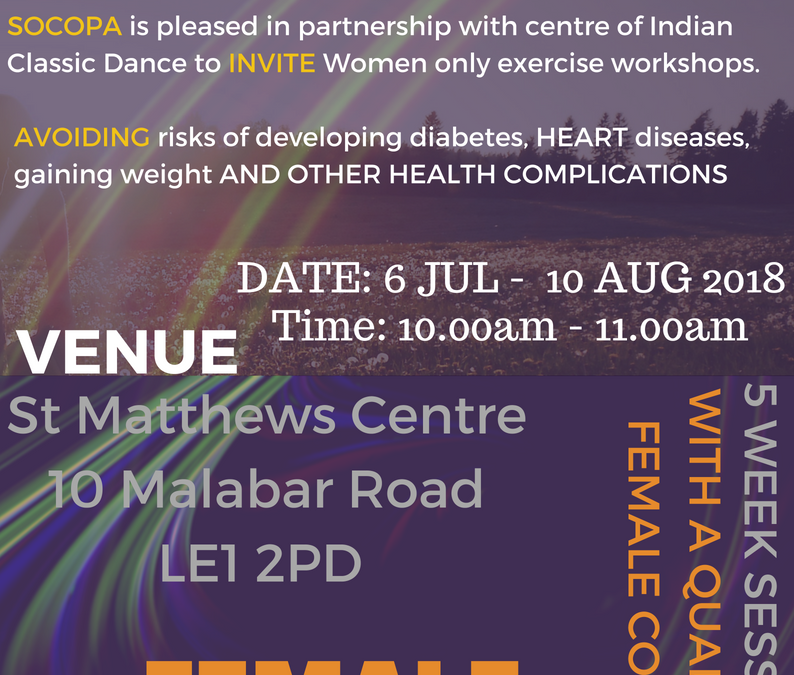 In order to avoid risks of developing diabetic,cardiovascular diseases and gaining weight. It is recommended by the NHS to exercise 150 minutes a week in order to get fit and health. 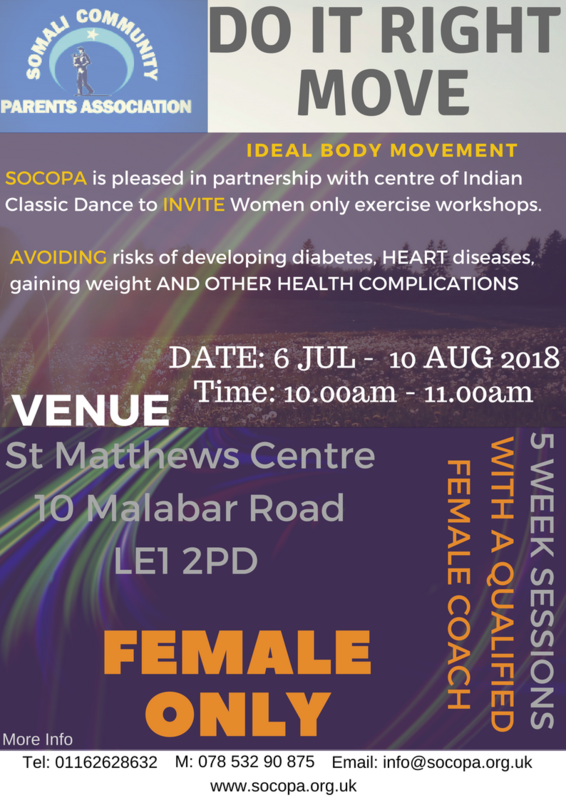 this is 5 weeks sessions starting from 6th July 2018. Waxaa farxad noo ah in aan idin ku wargalino in ay bilaabaneyso 6da bisha July 2018, jimicsi u gaar ah dumarka. Waxaa jimicsigaan naga caawinaya centerka Indian classical Dance, kaas oo noo soo diraya tababarayaal aqoon u leh jirdhiska iyo jimicsiga fudud.